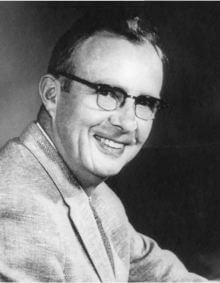 Born: 13th June 1911, San Francisco, California, U.S.
Died: 1st September 1988, Berkeley, California, U.S. 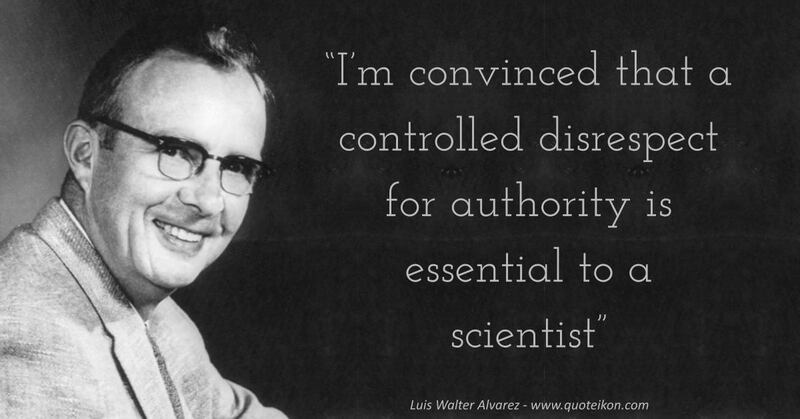 Quotes about Luis Walter Alvarez: Acclaimed physicist Richard A. Muller paid tribute to his scientific prowess by saying: "He loved nothing more than doing something that everybody else thought impossible. His designs were clever, and usually exploited some little-known principle that everyone else had forgotten"
The astrophysicist George Greenstein gave an insight into his thinking when he said: "Alvarez could no more refrain from invention than he could from breathing. In the midst of an illness so severe as to incapacitate him for most of a summer, he amused himself by attempting to build a better detector of gallstones"
"I don't like to say bad things about paleontologists, but they're not very good scientists. They're more like stamp collectors"
"Most of us do physics because it’s fun and because we gain a certain respect in the eyes of those who know what we’ve done. Both of those rewards seem to me to be missing in the huge collaborations that now infest the world of particle physics"
"When I received my B.S. degree in 1932, only two of the fundamental particles of physics were known. Every bit of matter in the universe was thought to consist solely of protons and electrons"
"Physicists do, of course, show a healthy respect for High Voltage, Radiation, and Liquid Hydrogen signs. They are not reckless. I can think of only six who have been killed on the job"
"I have not seen described anywhere the shock a talented man experiences when he finds, late in his academic life, that there are others enormously more talented than he"
"There is no democracy in physics . We can not say that any author of second category has as much right to say as Fermi"
"I am optimistic enough to believe that the next scourge to disappear will be the large-scale war - eliminated by the existence and non-use of nuclear weapons"
"There is a limit beyond which progress can not be made. The differences in the limiting capacities of the last steps of the pyramid are enormous"
"All the good experimental physicists I have known have had an intense curiosity that no Keep Out sign could mute"
"I’m convinced that a controlled disrespect for authority is essential to a scientist"